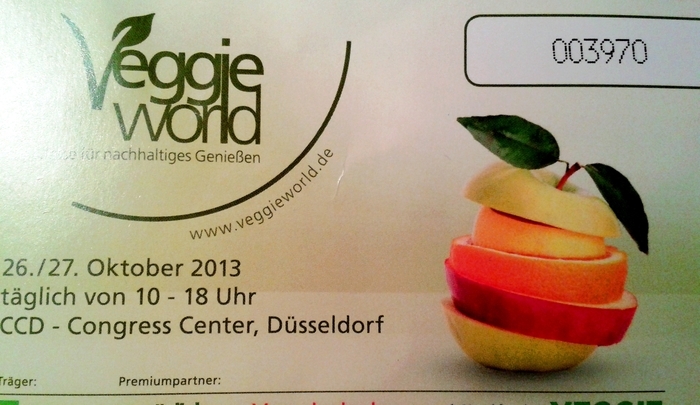 VeggieWorld is a vegetarian and vegan fair that takes place every autumn in Düsseldorf, Germany. 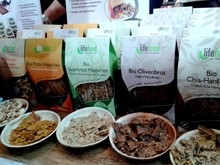 It has a lot to offer: bio & fairtrade products, raw foodism, cooking shows, cosmetics without animal testing, presentations and free food samples! I was very happy to convince a non-vegetarian friend of mine to accompany me. It was already crowded when we got there; especially the vegan cheese stand was quite popular. 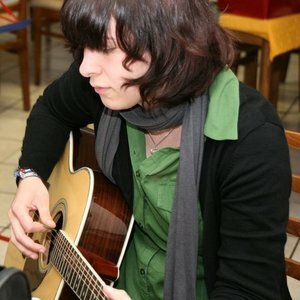 My friend and I had never tried vegan cheese before, but it tasted really good. And I absolutely love cheese! My friend doesn’t care much for cheese; however, she admitted that she liked the vegan version better because it tasted less “cheesy”. After that we found ourselves at an exotic fruits stand. We had been wondering before where the other visitors had got the little coconuts they were happily sipping at through a straw. Of course, we couldn’t resist and bought one later. Surprisingly enough, it didn’t taste like coconut, rather like chocolate. If you want to try it yourself, it’s called “Pagode light coconut”. 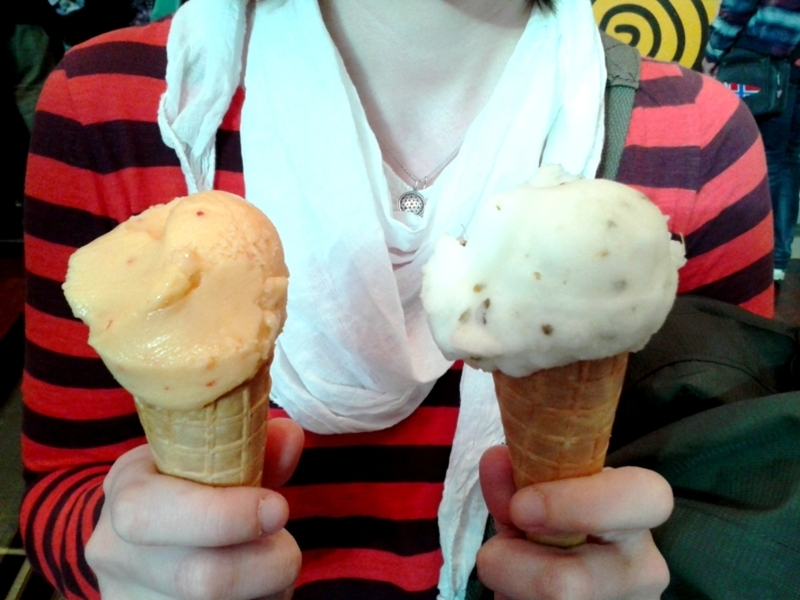 We also had to try vegan ice cream! 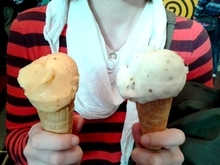 Lemon-mint was delicious and my friend enjoyed mango and admitted that she couldn’t really note a difference between vegan ice cream and its milky variant. What followed at the next stands could modestly be described as a casual tofu and chocolate frenzy. I finally found a tofu combination to my taste. Mango curry tofu. Absolutely delicious (given you enjoy mango and curry) and the texture was not as rubbery as the ones I had tried before. The chocolate didn’t fully convince us, though. Neither did the sausages, which, in our opinion, tried too hard to be like ‘real’ sausages. I chose to become a vegetarian because I don’t care much for the taste of meat, so these products are not that interesting for me. 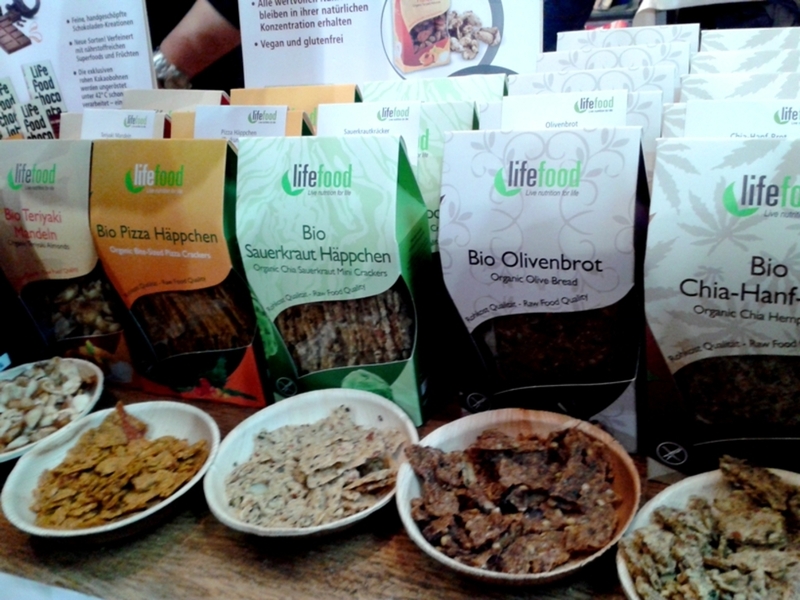 Nevertheless, we were quite amazed by the range of vegan products available at the fair. Our horizons were definitely broadened at the BAOBAB stand, where we tried different jams, ketchup and mayonnaise (not real mayonnaise) samples, only to find out that the BAOBAB powder (taken from the African Baobab tree) is basically a good supplier of nutrients such as calcium, magnesium, iron, and several vitamins and not particularly known for its taste. Another popular ingredient for bread, cookies, etc. seemed to be hemp, which tasted unspectacularly neutral and, of course, didn’t send us off into nirvana. All in all, we spent a wonderful day eating and learning a thing or two about vegan food and lifestyle.